Pommist Hydration Spray is a facial mist combined with a powerful antioxidant and UV protector, Pomegranate Extract, also known to provide protection against skin cancer. 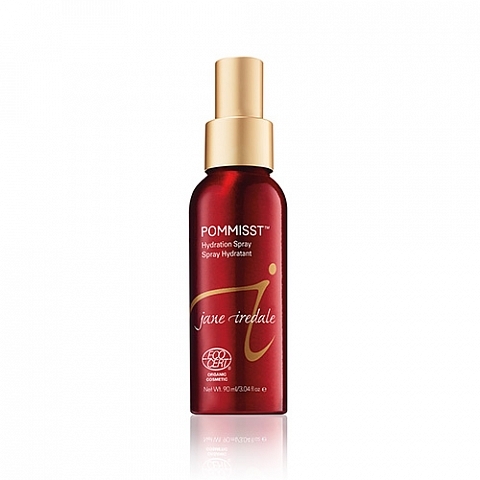 Pommist Hydration Spray is used to condition and protect all skin types. 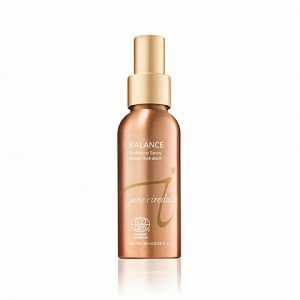 A hydrating mist with the added benefit of pomegranate extract, a powerful antioxidant. Suitable mist for all skin types. Natural and organic cosmetic item certified by Ecocert Greenlife. Also can be used on top of Purepressed or Amazing Base to build coverage between the layers without getting a “makeup look”. Use to freshen up any time of the day or sprayed on gauze and used as a toner after cleansing. Pomegranate extract provides antioxidant protection. White tea leaf extract calms, soothes, and protects the skin. Pommist Hydration Spray has Rosemary leaf extract which calms inflammation and protects the skin.